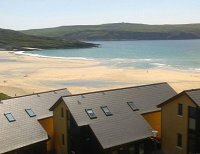 If you’re looking for a holiday home right on the beach, Barley Cove Beach Holiday Homes are the ideal choice. 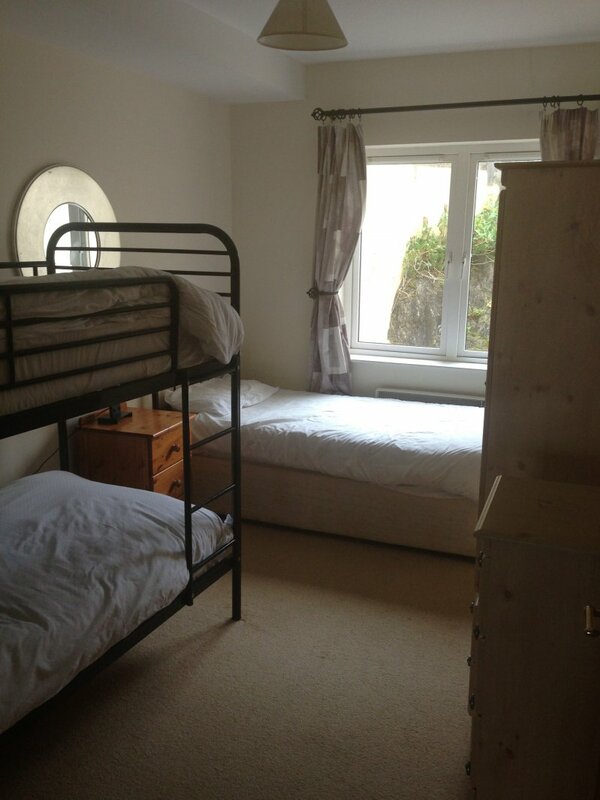 The added attraction of these holiday homes is that you don’t have to move from the beach for your entire holiday. The bar and restaurant of the Barley Cove Beach Hotel can cater to your every need (closes seasonally). 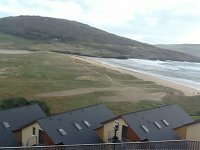 Barleycove is a large sandy beach backed by sand dunes which were thrown up in the tidal wave which swept Europe after the earthquake in Lisbon in 1755. Today the dunes have been partially eroded but are protected like much of the coastal area round this area as European designated Special Areas of Conservation. 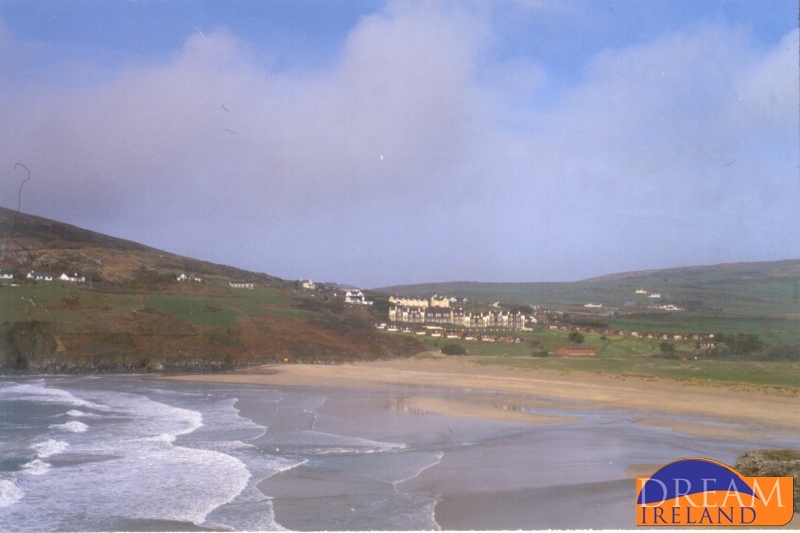 Barley Cove is located between the towns of Goleen and Crookhaven in West Cork. Barley Cove Beach Apartment 5 is a two bedroom, ground floor apartment (please note that there are steps down into the apartment). 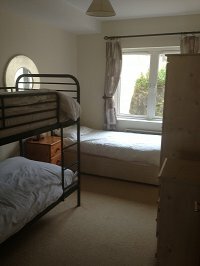 There is a master double bedroom with ensuite shower and toilet along with a second bedroom with bunk beds and a separate single bed meaning this apartment can comfortably accommodate up to 5 people. There is a main family bathroom with bath and electric shower over the bath. 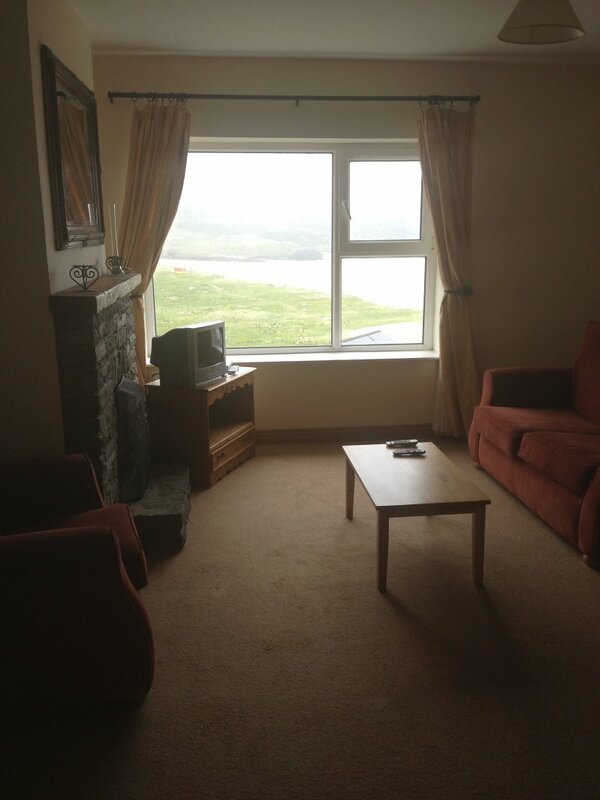 The large windows in the living room offer stunning views overlooking beautiful Barley Cove Beach. 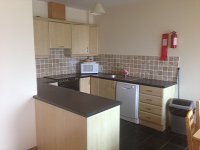 The kitchen is fully equipped with all modern conveniences including electric oven, fridge/ freezer, dishwasher and all necessary utensils, crockery and cutlery. 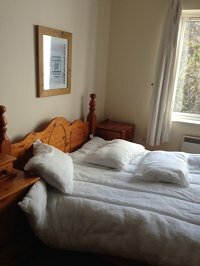 There is a washer/dryer in the apartment and all your bed linen and towels are provided (please bring along your own towels for use on the beach as the towels provided are to be used in the apartment only). 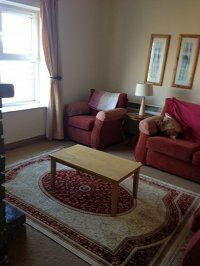 There is a cozy open fire in the apartment along with electric heaters in each room. Electricity for heating and lighting is an extra charge and is payable to Dream Ireland in advance of your stay. Electricity is charged at a daily rate of €5 per day for May, June, July and August and €7 per day for the remainder of the year. This is the ideal holiday destination with a host of varied activities to appeal to everyone whatever their interests. 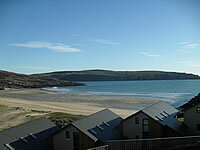 Barley Cove Beach Holiday Homes are situated right on the golden sandy beach from which they get their name. This is a long beach ideal for leisurely walks and for swimming. 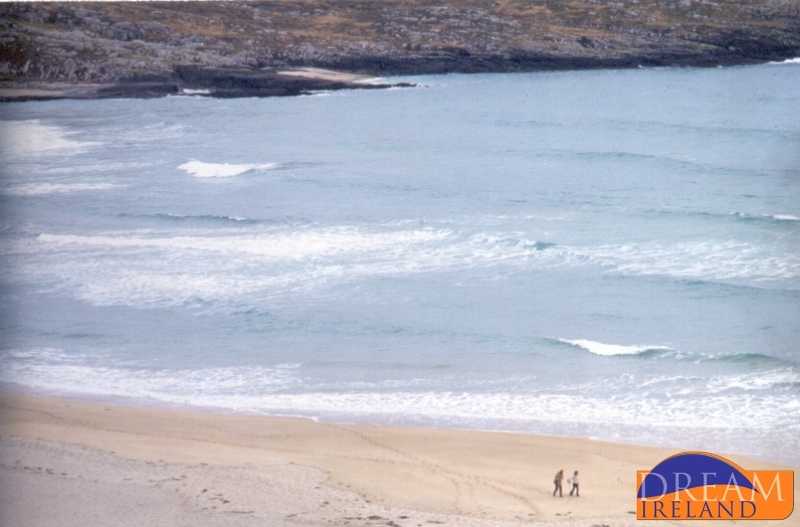 The beaches of Galley Cove and Cockle Beach are also close by which are ideal for water sporting activities. 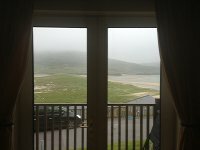 The Mizen Peninsula is Ireland's most southwesterly point and is renowned for the beauty of its rugged landscape and its ancient heritage. Here the clifs rise to over 700 feet in places offering some of the most spectacular views and incredible rock formations in Ireland. Schull Planetarium, located approximately 15 miles from Barley Cove in the town of Schull, offers a year round fascinating schedule of star shows. 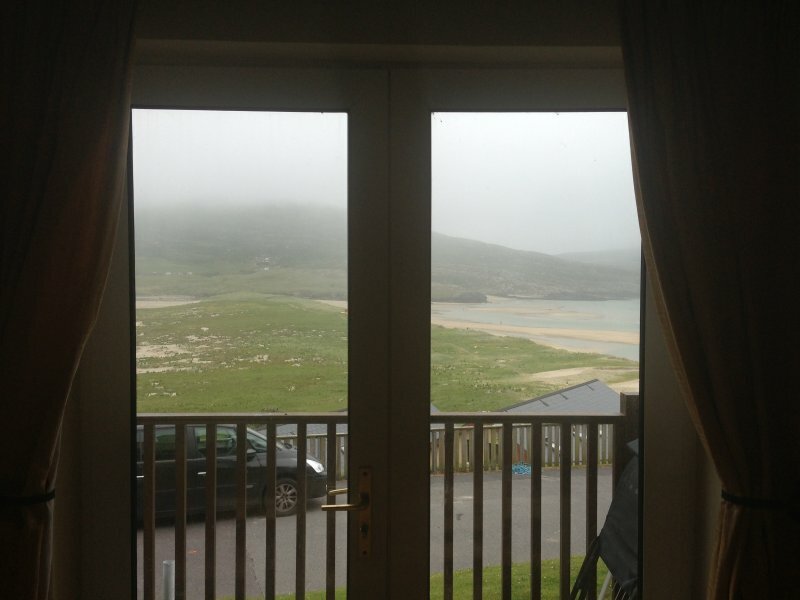 While staying at Barley Cove Beach Holiday Homes you have the choice of visiting the West Cork Golf Academy and driving range in Ballydehob (just a short drive away) or of travelling to the 18 hole Skibbereen and West Country Club approximately a 45 minute drive away). Should you wish to travel a little further afield you could play at either Bantry or Glengarriff or indeed go to Clonakilty or Roscarbery Golf Courses. Guests of Barley Cove Beach Holiday Homes and Courtyard Cottages are entitled to discounted green fees at Bantry Golf Course.